All you wanted to do was wash your clothes. Instead, you have an overflowing washing machine, soap suds on the floor, and soaking wet clothes. What happened? How do you stop the washing machine from oozing out more bubbles? First things first, cut the power from the circuit breaker or fuse box. There’s water everywhere and unplugging the power cord from the wall might lead to electrocution. Additionally, don’t press “cancel” because this may activate the drain cycle which might lead to more flooding and bubbles. Next, save the clothes from the machine and other items that may be affected by the flooding. Move your items to a safe and unaffected place. Wring out the clothes and set them aside for now. After the clothes and affected items are in a safe place, grab some salt to kill the overpowering soap suds oozing out of the washing machine. Douse the bubble with a layer of salt, and repeat as necessary. Now, time to tackle the water (not literally). 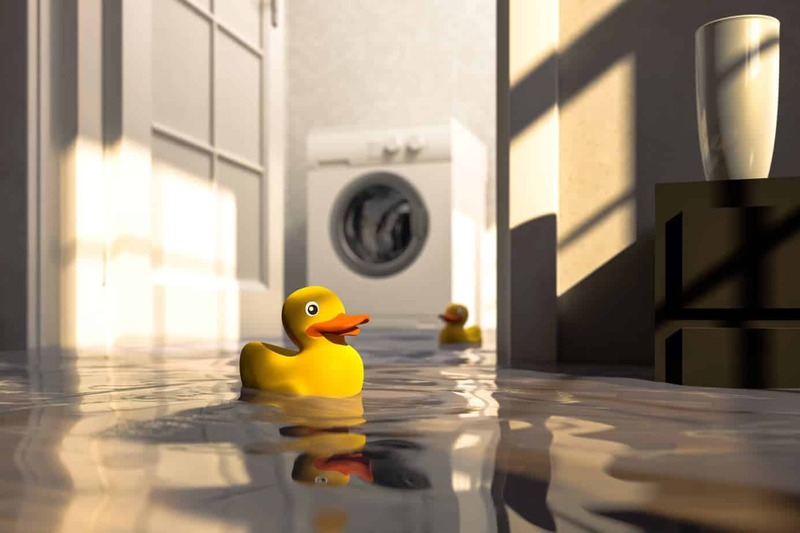 If the water is not adequately taken care of, the floor might become water damaged, moldy, and warped. To combat this, mop up the water around and under the appliance. Depending on how much water there is, you might need to find a bucket. If possible, use fans and dehumidifiers to help dry the room. Carefully pull the washer away from the wall and check the washer hose for leaks or drippings. If there are any damages to the hose, you may need to replace it. If the hose is undamaged, tighten and secure the hose connections. When you feel confident with yourself and the machine, perform a test. Do a quick cycle or a rinse-only cycle with no clothes or detergent in the machine. Monitor the test and reference the machine’s instruction manual if the cycle stops prematurely or if other problems occur. If your machine seems to be working correctly and you’re positive the machine is not the problem, it may have just been user error. 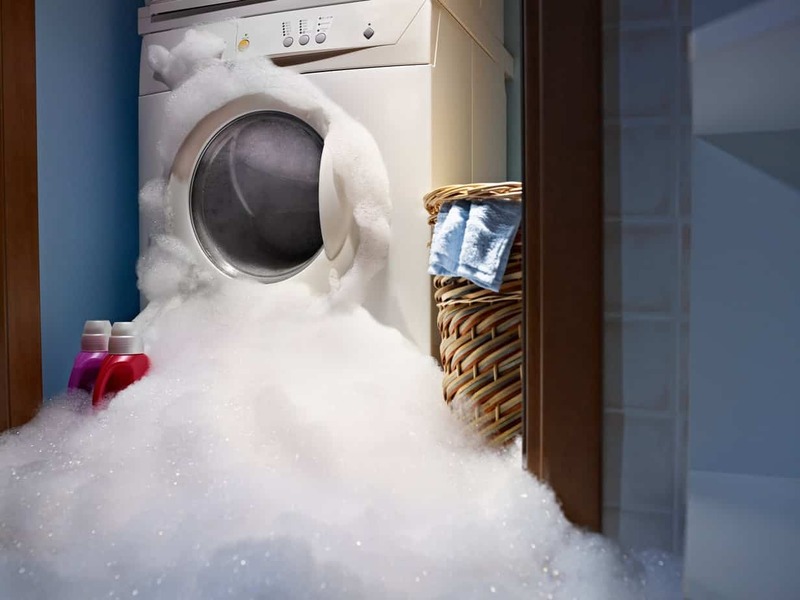 Overstuffing the washing machine with laundry or using too much detergent can cause the washing machine to overflow. If you’re still having problems with your washing machine’s plumbing and drainage, don’t hesitate to reach out to us here at ProFlo! We’d be more than happy to help you with your plumbing issues. We proudly serve residential and commercial properties throughout Murrieta. Just give us a call today at (951) 694-1300 to get started on a free quote.